Doha will play host on Monday to a pair of critical 2019 AFC Champions League clashes when Saudi Arabia’s ambitious Al Hilal aim to keep building momentum and the UAE’s insipid Al Ain look for instant redemption. The Crescent’s 100-per-cent start in a taxing Group C should be tested by Iran’s Esteghlal, currently a distant fourth in the Persian Gulf Pro League, at Hamad bin Khalifa Stadium. This fixture – technically an away match for the Saudi Professional League’s second-placed side – has been moved because of political considerations. 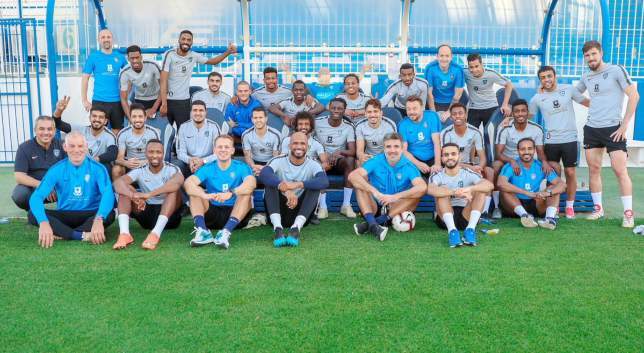 Across town at Abdullah bin Khalifa Stadium and in the same pool, Rui Faria’s recently deposed Qatar Stars League holders Al Duhail host an Al Ain that were humiliated 5-1 in ‘Al Clasico’ by rivals Al Jazira during midweek. Victory for Zoran Mamic’s Hilal will put them on the cusp of the knockout stages and on track to end an aching 19-year wait for continental glory. The Boss, in contrast, need an uplifting result to stabilise their season that has descended into crisis. Al Wasl, meanwhile, will hope for a return to winning ways in Group A when they host Iran’s Zob Ahan and SPL leaders Al Nassr must register their first points versus Iraq’s Al Zawra’a. Sharjah's Mohamed Al Shehhi wins a header against Ajman. Sharjah failed to fully capitalise on reigning champions Al Ain’s thrashing in ‘Al Clasico’ on Wednesday but did still take a step closer to a coveted maiden Arabian Gulf League title in 23 years with a 0-0 draw at Ajman. 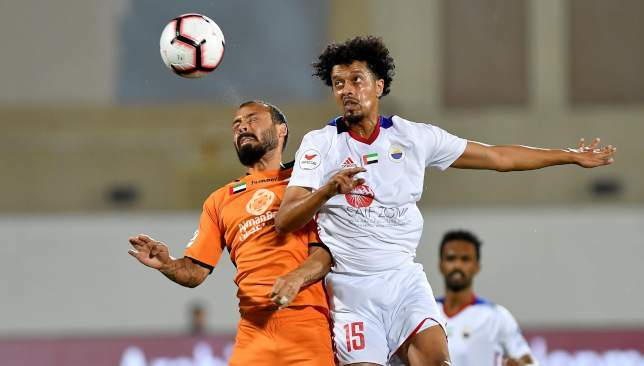 Keeper Adel Al Hosani impressed on Thursday night as the King escaped with a 0-0 draw against the Orange Brigade at Rashid bin Saeed Stadium. The first chance of the game fell to Ajman’s Stanley Nka in the second minute, as he fired a powerful effort that was saved by the Sharjah stopper. Midway through the first half, Sharjah started to control possession but failed to pose any real threat. Very few chances were created in the rest of the first half, as both teams headed into the break deadlocked at 0-0. Ajman’s Mame Thiam came close to finding the back of the net just three minutes after the restart, however his close-range header was brilliantly saved by Al Hosani. Stanley was then denied again after going one-on-one with Al Hosani on the hour mark. Eighth-placed Ajman’s pressure continued and the visitors were indebted to forward Welliton who pulled off a goal-line stop to keep the game goalless. Yahya Al Ghassani opened the scoring for Wahda. Ajman kept pushing until the final minutes of the game, hoping to inflict a first defeat of the season on the champions elect, but Al Hosani continued to impress as he saved Hussain Abdulrahman’s powerful effort in injury time to keep a clean sheet. 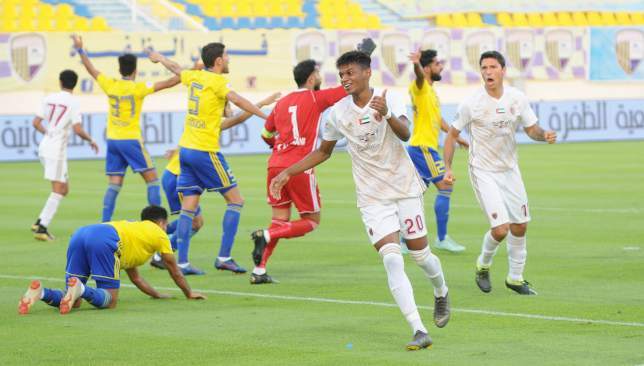 It was a fifth draw for the King who are the only unbeaten side left in the league, Abdulaziz Al Anbari’s men searching for their first title since 1995/96. They are now nine points above second-placed Al Ain – demolished 5-1 on Wednesday by rampant Al Jazira – with seven games remaining. In the night’s other game, Al Wahda and Al Dhafra also shared the points in a 1-1 draw in the Western Region. Yahya Al Ghassani’s opener was cancelled out by Suhail Almansoori’s goal as Wahda stayed fifth with Dhafra moving above Ajman into seventh. The Western Knights were controlling the possession in the early phases of the first half at Hamdan bin Zayed Stadium, but without posing threat to Wahda’s goal. But the Clarets broke the deadlock around the 15-minute mark, thanks to Al Ghassani’s goal. Veteran UAE international Ismail Matar’s free-kick was brilliantly saved by Dhafra keeper Khaled Al Senaani, but the rebound fell to Sebastian Tagliabue who fed Al Ghassani to tap home. The hosts levelled 10 minutes before the break. Capitalising on a defensive mistake from, Suhail Al Mansoori found the ball inside the box and slotted home past helpless Mohamed Al Shamsi. In the second half, the hosts relied on counter-attacks, while the guests put more pressure on the home side’s defence. Tagliabue’s effort on the hour missed the target, before Al Mansoori went close. With 12 minutes to go, Rim Chang-woo found Tagliabue’s headed ball but his effort went inches wide. Wahda substitute Ahmed Ali came close to netting the winner in the dying minutes. However, his first effort hit the woodwork and his second attempt sailed over the goal. Nacer Barazite celebrates his goal to make it 3-0. Damien Hertog heaped praise on his Al Jazira players following their emphatic 5-1 victory over Al Ain in ‘Al Clasico’ on Wednesday night. 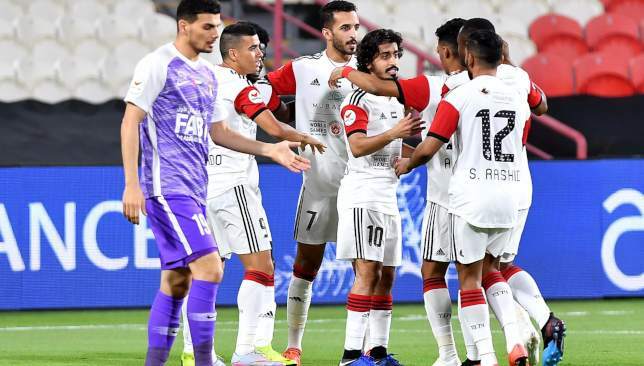 Jazira were utterly rampant in the capital as they tore the champions – lying in second place in the Arabian Gulf League table, four points ahead of them prior to kick-off – to shreds in a ruthless display. The hosts could not have asked for a better start to the clash with Ernest Asante opening the scoring in the third minute after being set up by Ali Mabkhout, who then doubled the lead just before the half-hour mark. Former Arsenal academy prospect Nacer Barazite, who had replaced the excellent, injured Khalfan Mubarak, and earlier saw an effort ruled out for offside, made amends when he received Mabkhout’s pass and curled home superbly beyond Khalid Essa. The Boss reduced the deficit before the break through Ismail Ahmed’s bullet header but that was as good as it got for the visitors, and the home fans were again celebrating early in the second half when Asante latched on to Sebastian Siani’s through ball before curling another fine finish past Essa. Barazite then returned the favour to Mabkhout to make it 5-1 for the Pride of Abu Dhabi on a night that will live long in the memory of their fans. 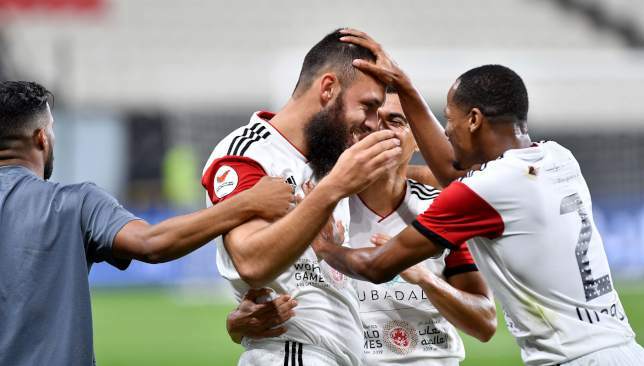 The result, which saw Jazira reclaim third place and go to within a point of Al Ain, ensured they completed the league double over the Garden City side, and Hertog was delighted with what he saw. Jazira were at their ruthless best against the Boss. “I am delighted and very proud of my team for the way they played,” said Hertog during the post-match press conference. “We played excellent football and created many chances against a very good side. We did our homework on Al Ain and the players executed the plans perfectly. I must compliment my players on their outstanding performance as it was a much deserved victory. Despite claiming the three points, Mubarak, Al Attas and Ramadan all suffered injuries and Hertog is hopeful the trio can feature again this season. Jazira will play their next match away to Ittihad Kalba on April 13.